We both love lemon poppy seed stuff. There’s something so fresh and delicious about the combination. These muffins were no exception! 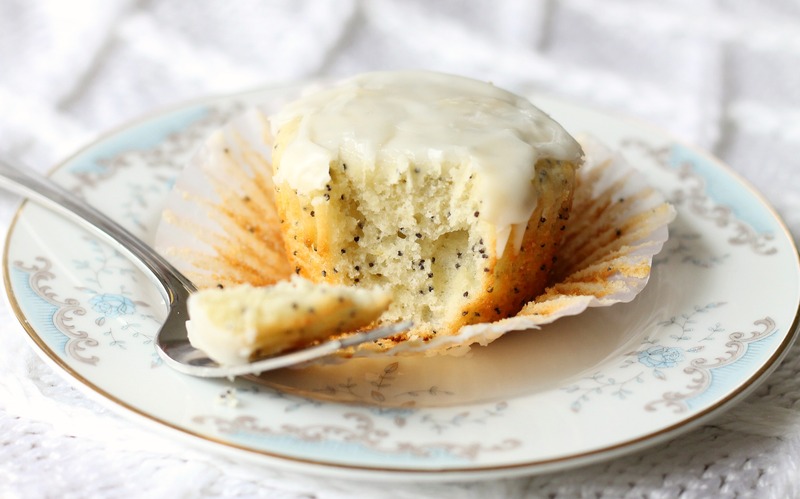 A while ago, we made lemon poppy seed muffins and they were dense, dry, and lacking muffin flavor. We set out to find a better recipe, and we did! 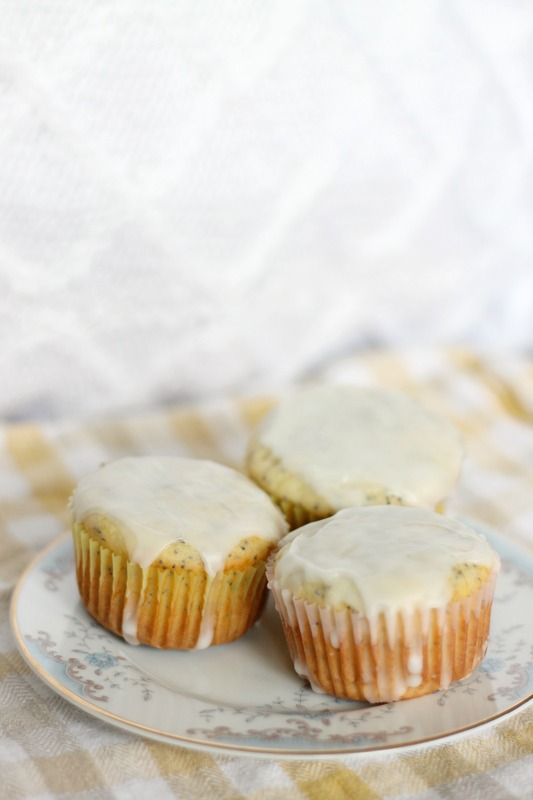 These muffins are tender, vibrantly lemony, and are more like cupcakes than breakfast. We liked these both with and without the glaze, which is optional, but if you plan to serve these as a special treat or even a dessert then we recommend the glaze. Anyway, these muffins are reminiscent of spring, which is nice in January when the skies are gray and it’s cold out! Preheat the oven to 350˚ F. Line a muffin pan with paper liners. Combine the flour, poppy seeds, baking powder, baking soda and salt in a medium bowl. Whisk to combine. In a mixing bowl, beat together the butter and sugar on medium-high speed until fluffy, about 2 minutes. Beat in the eggs one at a time, mixing well after each addition. Mix in the lemon zest, vanilla extract, and lemon extract. With the mixer on low speed, mix in the dry ingredients in two additions alternating with the yogurt, beating each addition just until incorporated. Whisk together the confectioners’ sugar and lemon juice in a small bowl to make the glaze. Drizzle a small amount of the glaze over each muffin. Let that set, and then drizzle again. Let the glaze set before serving. Enjoy!